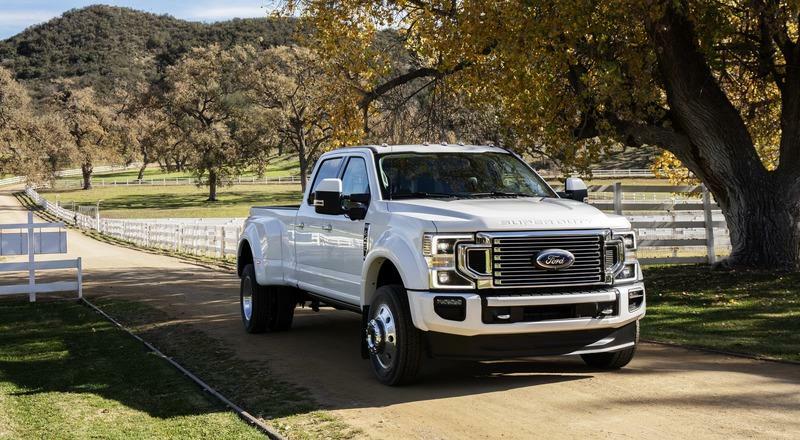 The Ford Super Duty can be had in various guises, including F-250, F-350, and F-450, all of which have multiple trims within them ranging from $33,000 to $86,000 without options! So, basically, Ford doesn’t mind even if there is price overlapping within the models as long as the customer stays in the same showroom. Interestingly, the truck we are talking about, the F-350 Super Duty Lariat, happens to be the mid-trim of a mid-range model. Does that make it the best of both the worlds? There is no denying that the Ford F-350 is an attention-seeker. Ford has tried to spice up things by adding all sorts of shapes to its typical boxy figure. 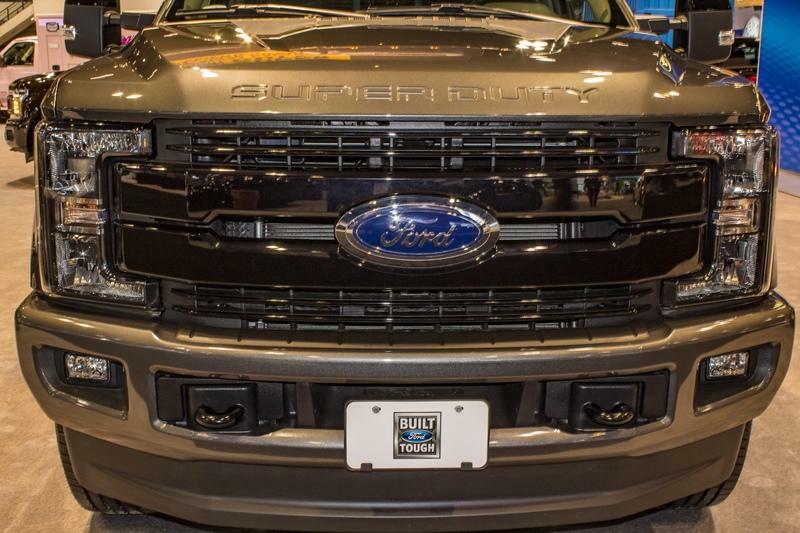 The H-U-G-E grille wears two fat long chrome strips with the Ford logo slapped in between. It is surrounded by a set of vertical headlights that also house the turn indicator lights. The bumper is also finished in chrome and is equipped with two square fog lights on either side, and two tow hooks in the middle. A black air dam has been provided below that kind of looks out of place. The headlamps are a quad-dual beam halogen setup which brightens up the road very well. LED headlights are available as an option. The LED Daytime Running Lights do add character, but a better placement and integration could have worked wonders in terms of aesthetics. The profile of the truck is monstrous too. Ford seems to have gone easy on the chrome here as there are none of the shiny elements on the side other than the fender badge. The XL-sized wing mirrors are held by two fairly long struts to keep an eye on what is happening at the very end of this long truck. You, of course, don’t get fancy alloys in the standard version, but a better design like the ones on the Chevy Silverado would look better. The 18-inch rollers look puny on the truck, thanks to the pronounced wheel arches and the huge gap in the wheel wells. You can avail it in the regular cab, super cab, or the crew cab form. The latter two are offered with a longer wheelbase versions as well. The rear is a standard affair, but it looks much better than the one seen in previous iterations. The vertical taillights looks decent and even extends to the profile. The Blue Oval logo is showcased on the tailgate along with the ’SUPER DUTY’ nomenclature. The bumper is finished with chrome elements. We have still not seen Ford’s reply to the GMC’s MultiPro tailgate and RAM’s MultiFunction tailgate. 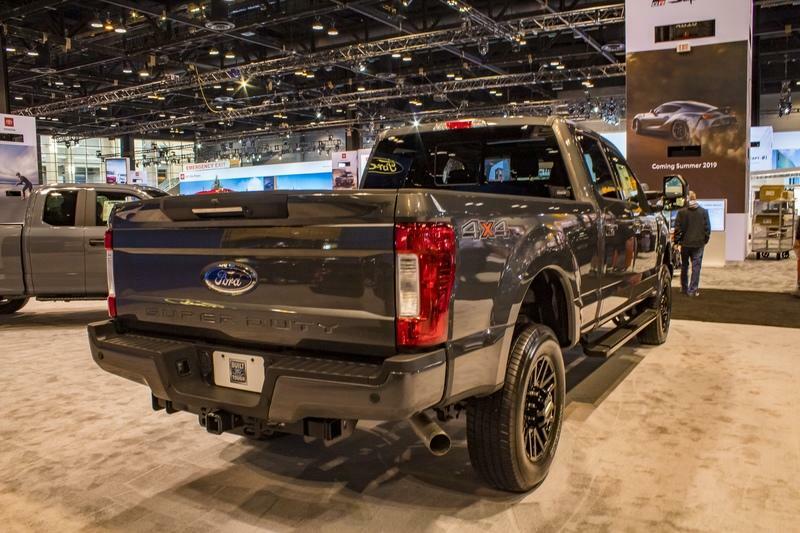 All Ford has is a Tailgate Step that can be deployed when you pull out the top edge of the tailgate. Heck, even Honda has a swinging tailgate on the Ridgeline! Come on, Ford. Time to up the game here. Ford needs to be patted on the back for the way it has designed the cabin. It looks great while being functional at the same time. The instrument cluster carries the blue vibes in general and looks very good. The steering wheel is quite cluttered with buttons all over it, though, and the center console is a mix of buttons and knobs. The eight-inch SYNC 3 touchscreen infotainment system is okay, but there are better systems out there. The vertical air conditioning vents provide generous air flow to keep you cool on a hot day, and the passenger side dash is embossed with ’SUPER DUTY’ on it, reminding you every time that this is not any ordinary pickup truck. It goes unsaid that there is no dearth of space whatsoever inside the cabin. The dual shade also keeps things interesting and breaks the monotony of the otherwise dark theme. 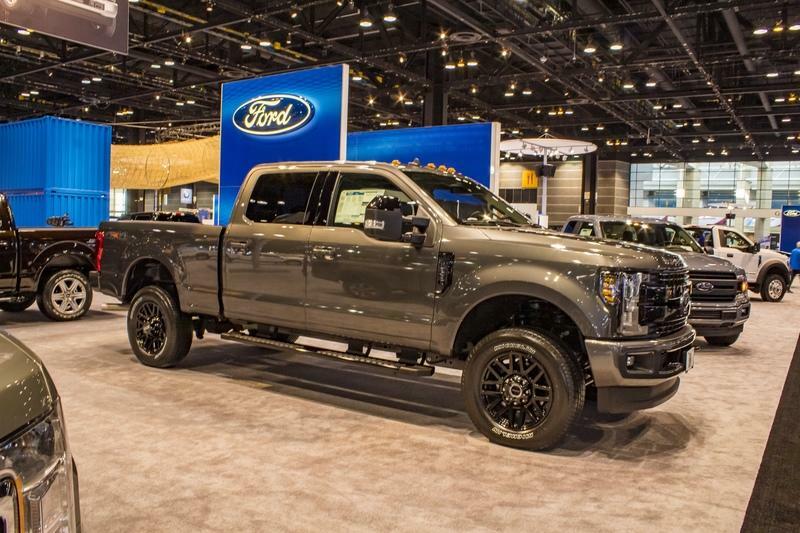 The Ford F-350 Super Duty Lariat is offered with two engine options - a 6.2-liter, V-8 engine that churns out 385 horses and 430 pound-feet of twist or a 6.7-liter, turbodiesel, V-8 that produces 450 horses and a monstrous 935 pound-feet of torque! Yes, the rivals have ousted this torque figure, but even 935 is nothing to throw shade at. This is exceptionally helpful when you are hauling heavy loads as it helps the F-350 Lariat move at lower speeds without breaking a sweat. You can buy it with a two-wheel-drive setup, or an all-wheel-drive setup. Both the drive configurations and engines are mated to a six-speed automatic gearbox. Although it works fine with the bigger engine as the torque is higher, the six-speed automatic gearbox in the smaller engine cries for an extra gear. Fortunately, Ford has announced an all-new 10-speed automatic gearbox, that it has developed one with General Motors, for the 2020 model. The Blue Oval has also introduced a new optional mill in the lineup. 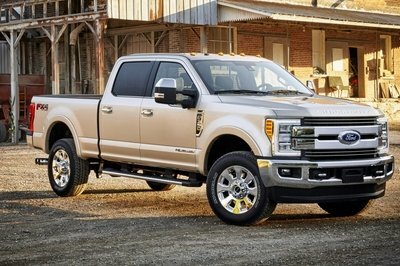 A 7.3-liter, V-8 engine will make its debut and will be seen in the newer model from the Super Duty F-250 trims. Ford knows how to counter-attack the competition and stay at the top. 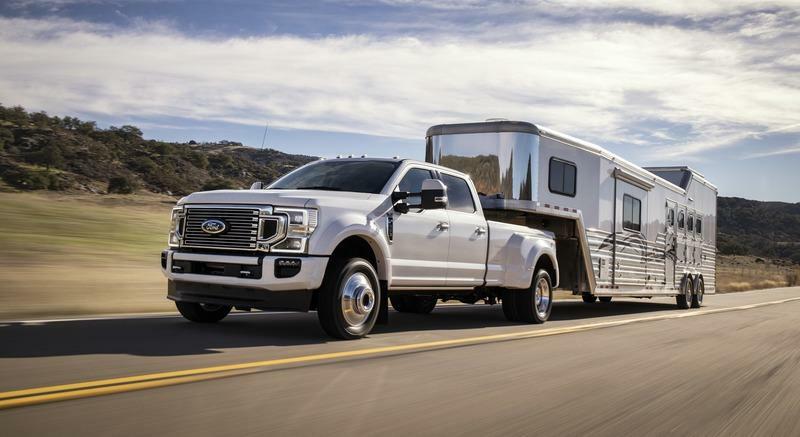 Coming to its towing capabilities, the Ford F-350 Lariat can tow up to 35,000 pounds! This is on par with the segment best Ram HD’s towing figures. It also has a maximum payload capacity of 7,640 pounds. With such figures and a powerful drivetrain, the Ford F-350 Super Duty Lariat is one of the strongest trucks available in the market. 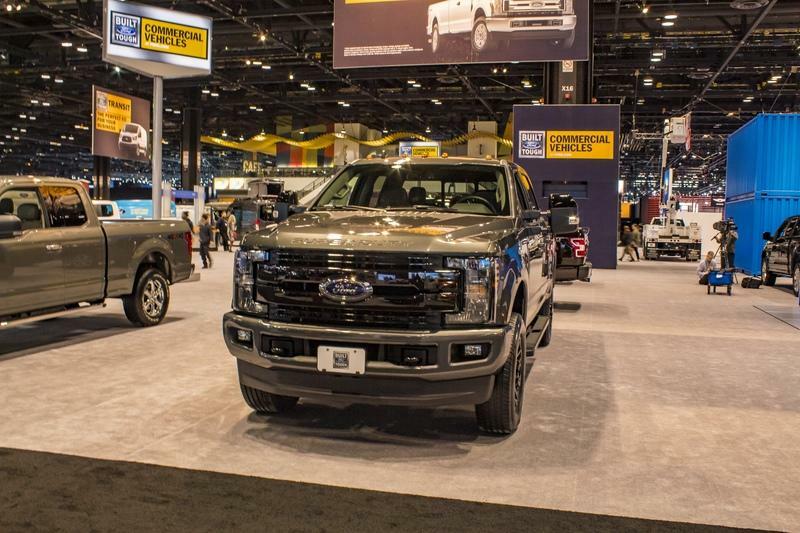 Ford is offering the F-350 Super Duty Lariat with a starting sticker price of $47,300. We all know the plethora of packages Ford offers with its products. Equip all of them, and you will find yourself shelling out more than $70,000. Talking about the ’big ’ol mouths’ of the pickup trucks segment, the Ram HD deserves a spot here. The Ram Hd’s grille is so big it seems like BMW took a hell lot of inspiration from this truck. The Ram HD is a capable truck that can give the F-350 Super Duty a run for its money. 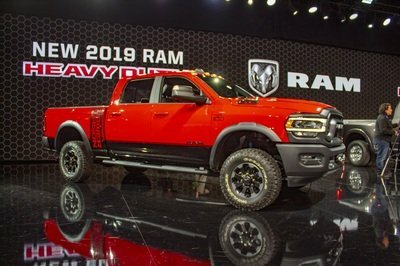 It comes packed with a 6.4-liter, Hemi, V-8 that produces 410 horsepower and 429 pound-feet of torque in the entry-level trim. 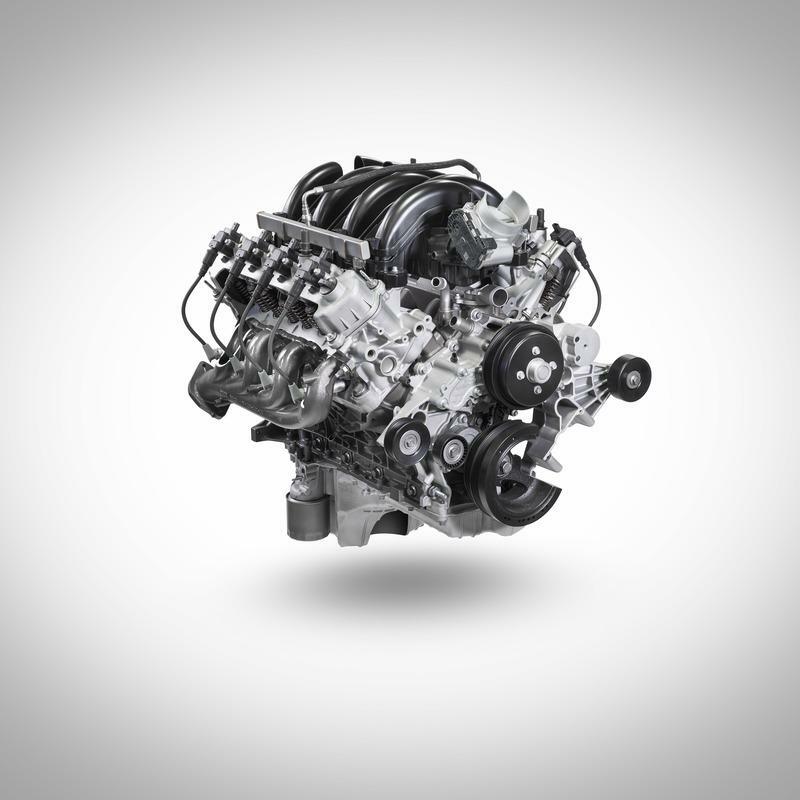 Our pick, and the true rival to the Blue Oval’s strongest mill, is the 6.7-liter, Cummins, turbodiesel engine that produces 400 ponies and a mammoth 1,000 pound-feet of torque. Like its American counterpart, Ram has also mated this truck to a six-speed gearbox. The RAM HD is also offered with the same engine producing different power output - 370 horsepower and 850 pound-feet of twist. 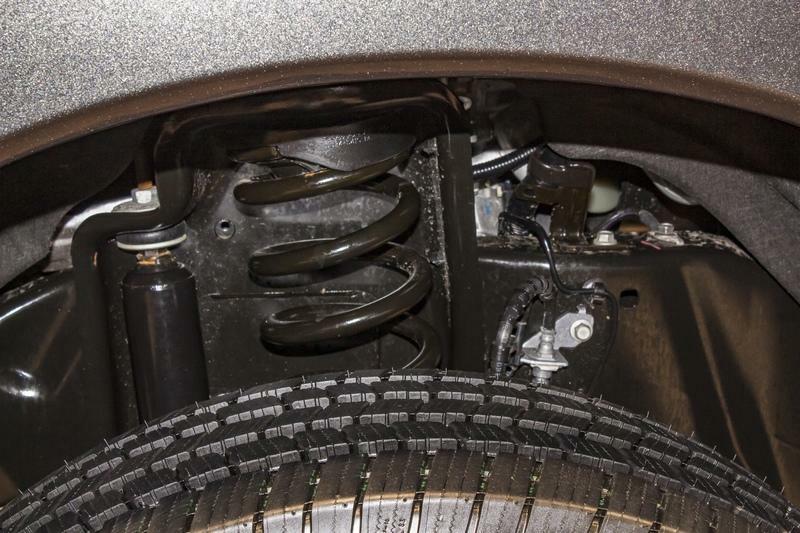 It can be customized with a rear air suspension which can be very helpful while loading and unloading. 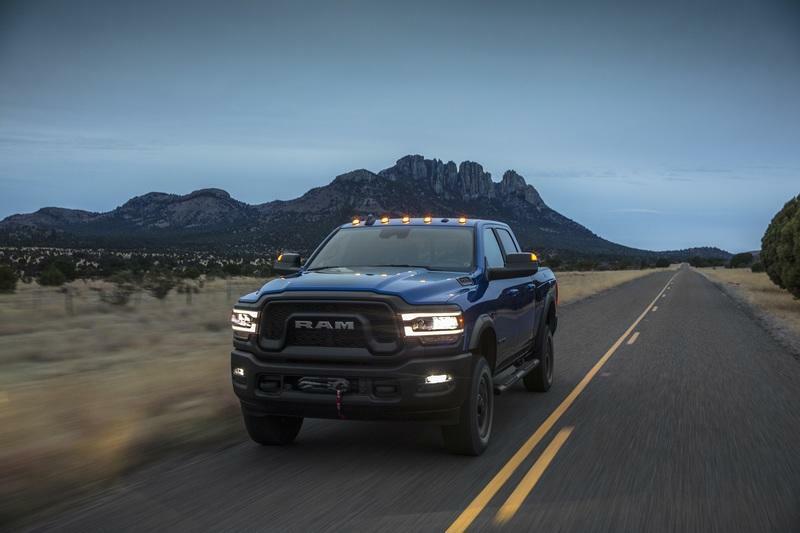 What makes the Ram HD even more special is its reworked chassis and body, which reduces the trucks weight by 143 pounds when compared to the previous iteration. With all extras added, the Ram can pull up to 35,100 pounds and deliver a payload of 6,570 pounds. A rich cabin is not what the Ram HD is known for. 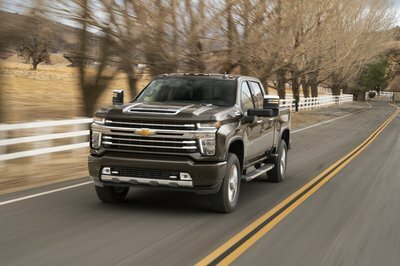 Things have gotten better than before, but it is still not in the same league as the Ford F-350 or the GMC Sierra HD. The base trim comes with a five-inch infotainment system, while the higher trims can be availed with an 8.4-inch or a 12-inch screen. It also comes with three 115-volt plugs, five USB ports, and a wireless charging dock. However, the truck is big on space and storage. The console area is now 22.6 liters, 2.9 liters larger than the 2019 model, and includes 12 storage configurations. In short, it can now hold bigger items like tablets. This truck has played wingman to the Chevy Silverado for as long as we can remember; but now is its time to shine. 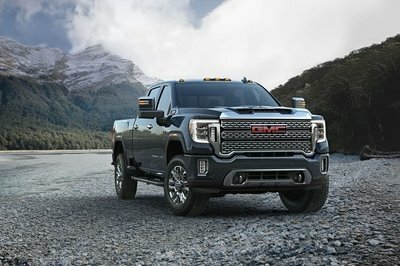 The 2020 Sierra HD has made a statement and wow! The new ’holy grille’ is as humongous as the ones on its rivals. The truck is slightly taller than its predecessor and also wears a longer hood. 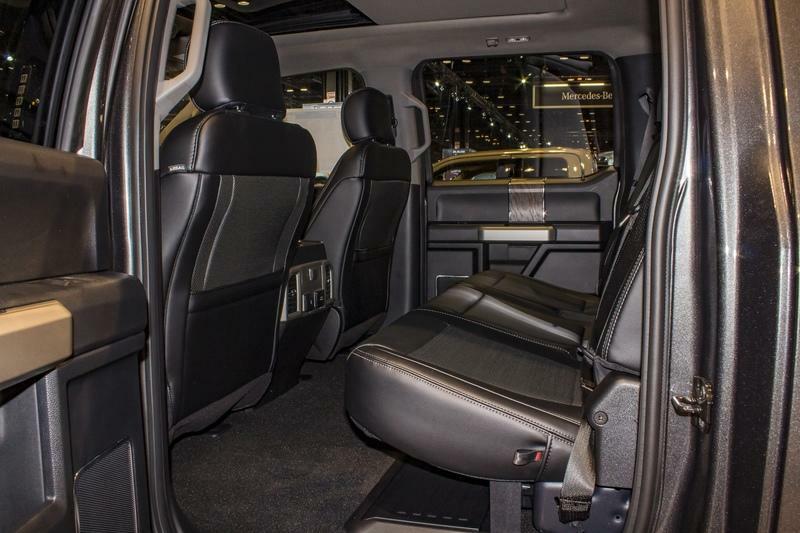 It boasts a longer wheelbase this time, thus giving it the award for the best-in-class legroom. The Sierra HD holds quite a few advantages over its immediate rivals. For instance, there are 15 cameras all around its body to give you an idea of all the action happening behind. Remember that oil tanker stealing scene from Fast and Furious 4? Wouldn’t have happened if that had 15 cameras all around its body. Anyway, GMC has also offered a MultiPro Tailgate that can be operated in six different ways depending on your requirement. Fancy! 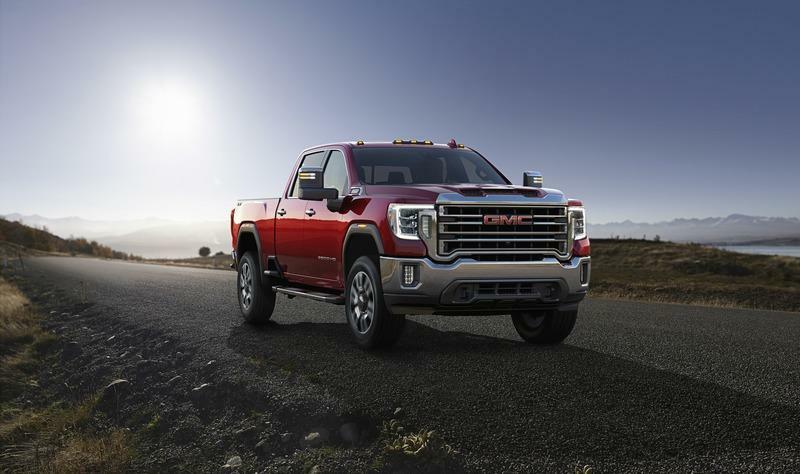 GMC has plonked a 6.6-liter, V-8 Duramax engine under the hood of the Sierra HD. It delivers 445 horses and 910 pound-feet of torque, but it misses out on the 1,000 pound-feet mark of the Ram HD. It easily makes up for it, though, thanks to the 10-speed automatic gearbox. There’s also a gasoline engine, but it better be left out to keep the Sierra HD’s credibility intact. It can tow 23,300 pounds and has a trailering system that makes backing up easy with a load on your a**. 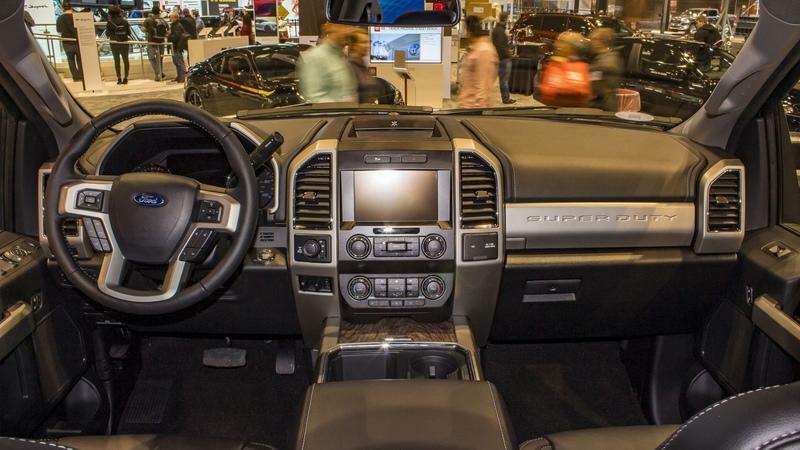 If you thought the Ford F-350 Super Duty has a cluttered cabin, don’t even think about stepping inside the Sierra HD. The Ford F-350 Lariat is the most practical trim if you are on a budget. We would not recommend the XL and XLT trims since they do not have a feel-good factor inside, but the Lariat is impressive. 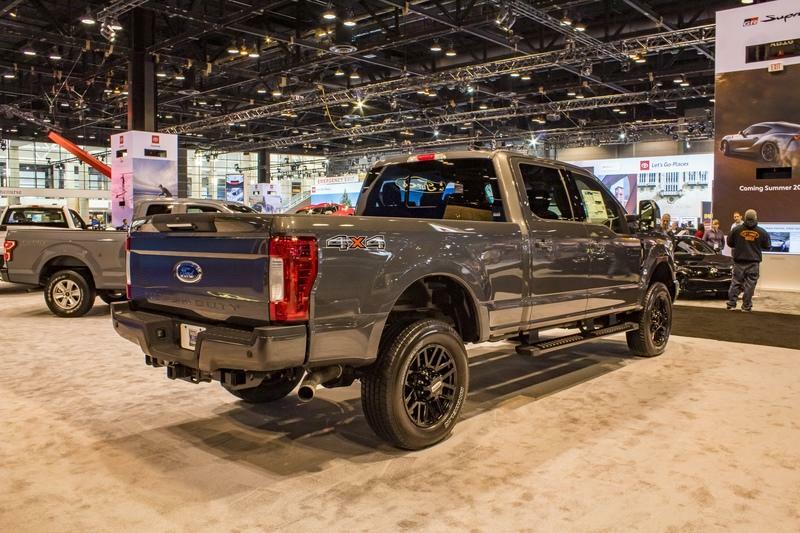 Ford also has multiple packages on sale that can be clubbed with the F-350 Super Duty Lariat. 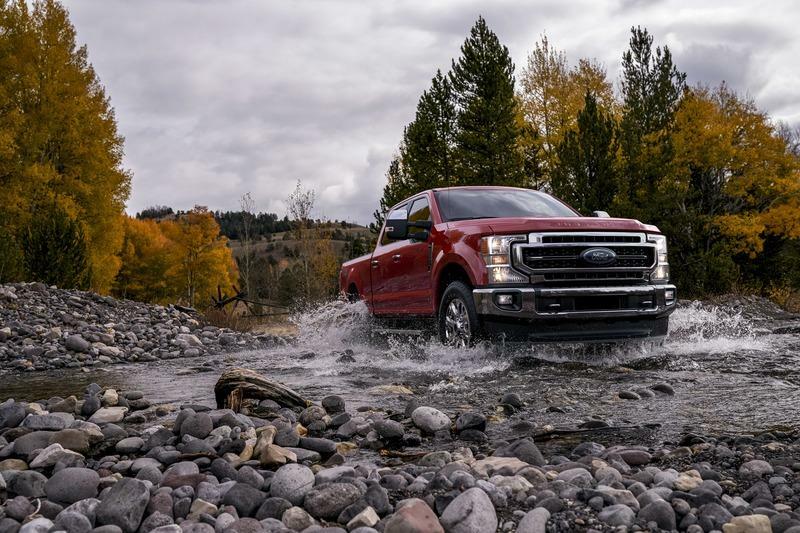 In terms of features and segment-exclusivities, the GMC Sierra HD holds the baton, but the Ford F-series has been the top-seller for a reason. 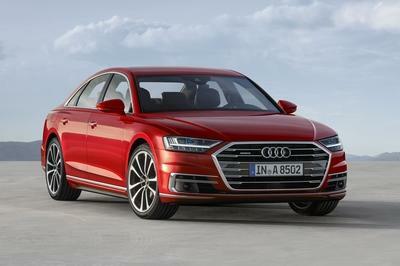 Not to mention, the drivetrain shortcomings, like the six-speed gearbox, will be addressed in the upcoming 2020 model. 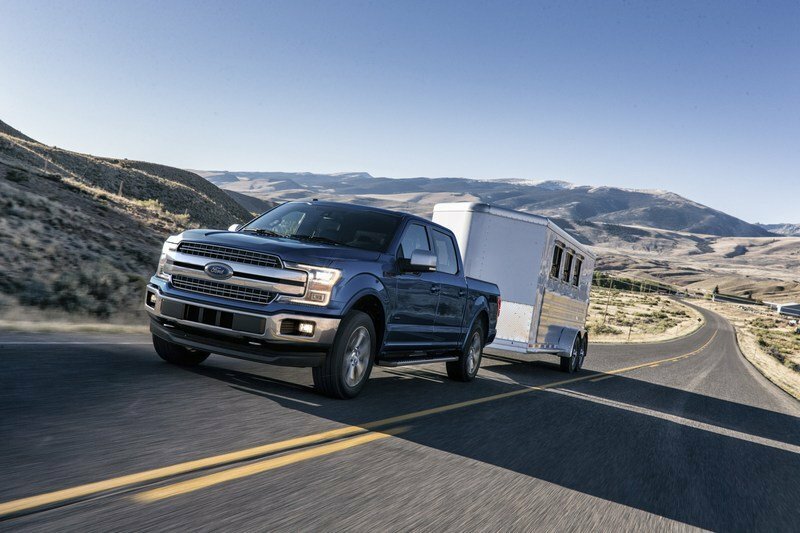 The truck is priced slightly on the higher end when compared to the Sierra HD and the Ram HD, but we don’t see it as a reason that could push customers out of the Ford showrooms. 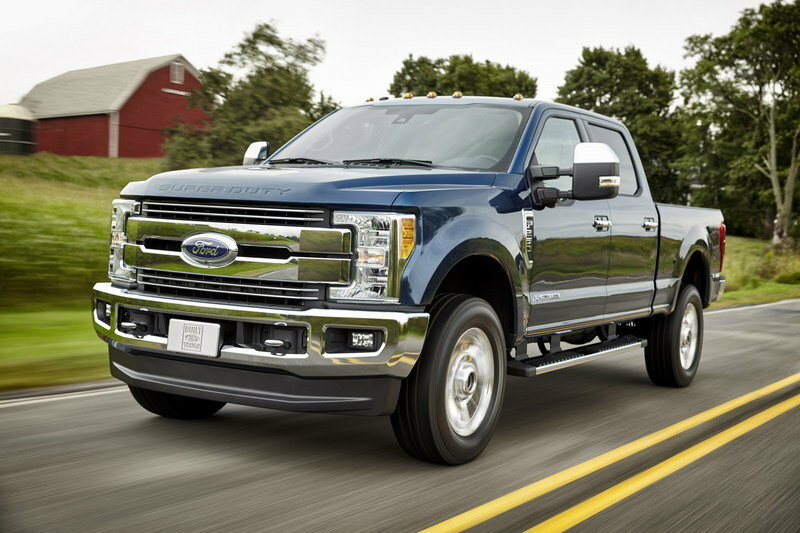 Read our full review on the 2017 Ford Super Duty.